Today was Md Zaqhwan Zaidi's day as he returned to the pits with the quickest laps during both practices for the premier SuperSport 600 category (SS600) during Round 4 of the FIM Asia Road Racing Championship (ARRC) 2018 at the Madras Motor Race Track (MMRT), Chennai. This may not be very surprising as he had also won both the races last year during Round 5 of the ARRC at this track. 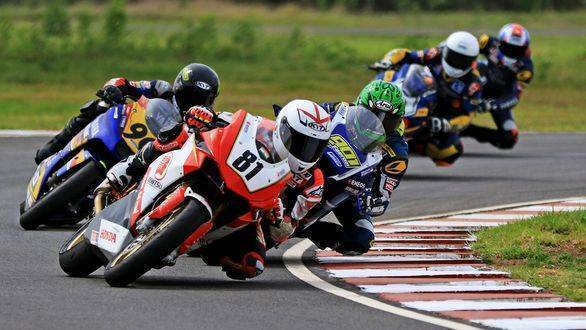 Practices for the Asia Production 250, and qualifying for the Underbone 150 categories as well as for the local Idemitsu Honda India Talent Cup and TVS One-Make Championship were also held during the day. 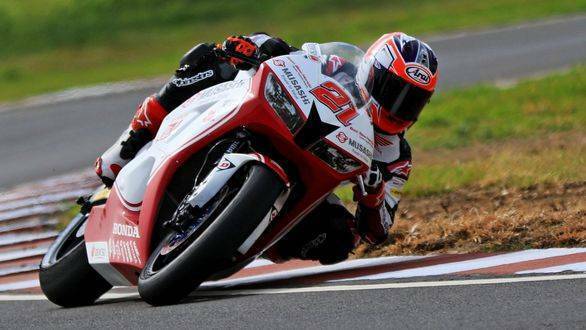 Zaqhwan (Musashi Boon Siew Honda) began Friday with a time of 01 min 43.5 sec during Practice 1, when he was closely followed by Idemitsu Honda Racing India team racer Taiga Hada, who clocked in at 01:43.6, just one-tenth of a second behind. Hada finished 10th in the second practice. During his second run later in the day, in fact, Zaqhwan was close to knocking out Decha Kraisart's lap record from last year. He managed a splendid 01:41.306 on the 9th lap of Practice 2, the quickest for the day. SS600 championship leader Anthony West (Webike Ikazuchi Racing) managed the fourth quickest laps in both practices. In the Asia Production 250cc (AP250) category, championship leader Rheza Danica Ahrens (Astra Honda Racing Team) continued his dominance clocking in the quickest time of 01min 48.3sec, ahead of Anupab Sarmoon (Yamaha Thailand Racing). Earlier in Practice 1, Sarmoon had clocked the second-best timing of 01min 48.4sec. Indian racers Anish D Shetty and Rajiv Sethu were 17th and 18th, respectively, in terms of timing. Bengaluru-based Shetty had a slightly better run of it with a 01min 51.2sec lap while local racer Sethu managed 01min 51.6sec. Sethu later said that he must make a good run of the qualifying on Saturday to meet his goal of finishing in the top 10 and score his first points of the season. Malaysian racer Md Akid Aziz rode his Yamaha to the top of Underbone 150 qualifying with a 01min 51.9sec. Akid, of the UMA Racing Yamaha Maju Motor Asia Team, is currently fourth in the category's championship. 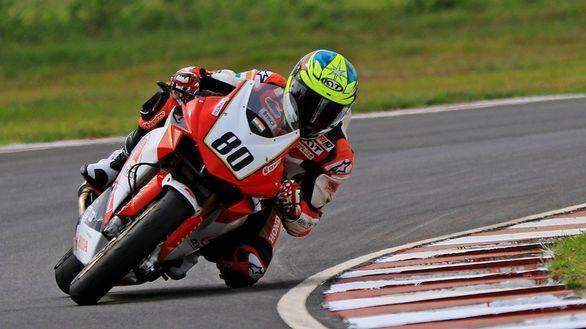 Aravind Balasubramanian had the best timing after the practices aboard his Honda CBR250 race bike, clocking 02min 02.2sec. In the TVS One-Make Championship practice session, Yashas RL rode his TVS Apache RR 310 the quickest with a time of 02min 02.4sec.